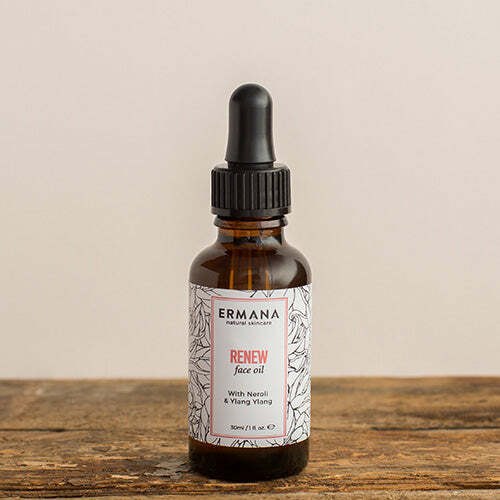 Our renew face oil is a luxurious blend of nourishing plant oils packed with natural vitamins, minerals, anti oxidants and omega oils essential to keep skin hydrated and younger looking. Infused with pure essential oils neroli and ylang ylang which help to tone the skin and relieve irritation. 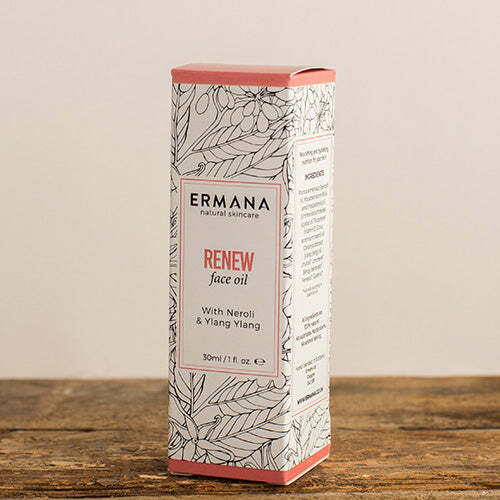 Vitamin E has been added to aid cell regeneration and to boost collagen.